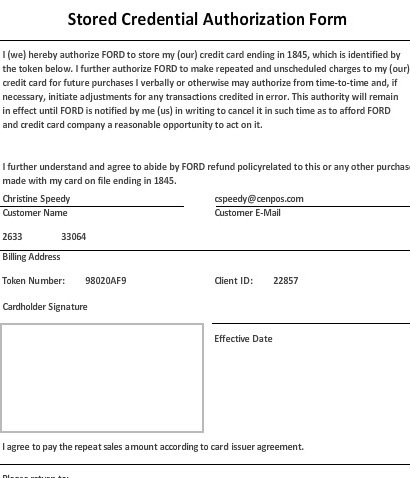 Series highlights credit card authorization forms and what’s wrong with them. Is your hotel third party authorization form compliant with both Payment Card Industry Data Security Standards (PCI) compliance and card network acceptance rules? Beware solutions that are neither, risking an expensive data breach, lost reputation, and reduced profits. Due to significant rules changes in 2017, hotel management and hospitality advisors must adopt new technology solutions to comply. Shifting from a paper credit card authorization form to a digitally signed cloud form often fails to meet intended goals to prevent fraud and increase security. For example, some digitally signed third party credit card authorization form solutions authenticate the cardholder with address and security code verification. Authorized merchant employees access and decrypt the signed document, then key-enter the cardholder data into another system for subsequent authorizations. The document containing PAN and security code remains on file for some period of time. “This method is rife with compliance problems, leaving hotels unprotected from friendly fraud, ‘it wasn’t me, I didn’t authorize’ and data breach risk”, per Christine Speedy, PCI Council QIR certified. For instance, per PCI Compliance 3.2, the security code, must not be stored after authorization, even if encrypted. Whether the security code can be stored prior to authorization, PCI leaves up to card brands and acquirers. Per Visa Core rules, section 5.4.3.1, merchants cannot even ask for the Card Verification Value 2 (CVV2) from the Cardholder on any written form. A series of card not present acceptance rules changes are driving an urgent need for hotels to update. These significant changes include the process to store cards, use stored cards, and obtain authorizations. All this means, whatever worked in the past is no longer valid today. 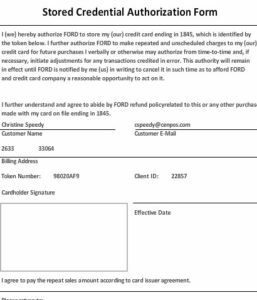 In the digitally signed form example, there’s no relation between the initial cardholder authentication transaction and any future authorizations. However, if done properly, the issuer would have returned a response acknowledging the merchant notification that they’d gotten permission to store the card; future authorizations would include that response. Hackers continue to target the hospitality industry and they’ve been quite successful. With 338 breaches in the 2018 Verizon Data Breach report, the accommodation sector ranks in the top three of most incidents and breaches. InterContinental Hotels Group, Marriott International, Radisson Hotel Group, Hilton, and Hyatt have all had breaches as have suppliers to the industry like Sabre Hospitality. If you know you’re going to be attacked, why not eliminate employee access to cardholder data completely? How can hotels better protect against card not present credit card fraud? 3-D secure is a global protocol designed to be an additional security layer for online credit and debit card transactions. By combining a web-based authorization form with 3-D Secure cardholder authentication, including Verified by Visa, fraud liability shifts to the issuer, much like EMV chip shifts liability to the issuer. By using a payment gateway to manage initial and subsequent authorizations, with the capability to invoke 3-D secure, merchants mitigate chargeback risk and avoid the time consuming process of fighting to get their money back after they occur. As a bonus, some issuers support reduced interchange rates, the bulk of credit card processing fees, when 3-D Secure is invoked. No cardholder data is ever visible to employees. With every part of the payment ecosystem needing to make changes- card issuer, acquirer (merchant account processor), payment gateway- it’s inevitable that there will be gaps in compliance. Non-compliance with rules can result in fines, penalty fees, and removal from card acceptance. · Is the security code ever stored? · Is 3-D secure supported? · Is it compliant with the Visa stored credential mandate, including unscheduled credential on file? · After the initial authorization, are subsequent authorizations submitted with retail, MOTO (telephone order), or e-commerce transaction type? 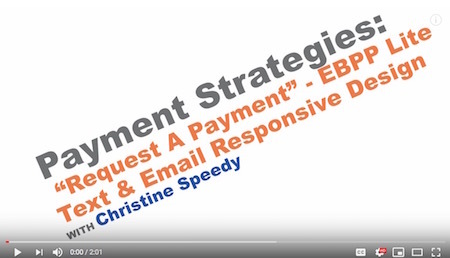 Call Christine Speedy, PCI Council QIR certified, for PCI compliant web-based third party authorization forms and other hotel payment technology to make your business more profitable and secure. 954-942-0483, 9-5 ET. An online credit card authorization form enables a business to charge a credit card one-time or for recurring purchases. Looking for a PCI Compliant authorization form meeting 2018 and 2019 standards? Read on. Hosted pay page. The merchant directs customers to web page to pay any invoice or store card for future payment online. For maximum reduced PCI burden, send customers directly to the 3rd party payment gateway web URL. The gateway may or may not be the same as your processor. NOTE: If hosting on your own web site with an embedded payment (iframe) object, acceptable implementation methods for PCI requirements have changed; any old forms should be updated. Electronic Bill Presentment & Payment. (EBPP or EIPP) This is basically a proactive version of the above. Log in to a gateway web portal, and send a payment request via text or email which the customer clicks and pays. Whether integrated or standalone, we have options to include the invoice as an attachment. No login required to make a payment, but a customer portal is also included. All the major payment gateways include a Virtual terminal, hosted pay page, and shopping cart checkout capability, tokenization to store card data for future orders. Some, including CenPOS also offer EBPP. So how do you differentiate your choices? Must not be able to decrypt and view the security code and or sensitive cardholder data. then the Incremental Authorization Request indicator for interim if applicable, and Final Authorization Request indicator when closing out the transaction; the same Transaction Identifier must be included for all Authorization Requests. A reversal of extra funds must be completed within 24 hours of final settlement. These are tough questions the average salesperson probably can’t answer. Work with a professional that knows the rules. Stored cards. Are you storing cards for any type of ongoing charges? Partial PCI Compliant stored credential authorization form. This is a change! Two transactions occur when capturing cardholder data for the first time. Technical part can be handled by a payment gateway that supports it, but other elements are left to you. Provide a stored card receipt to customer. 3-D Secure cardholder authentication. For example, Verified by Visa. Merchants register for 3-D Secure with their acquirer; always consult with the payment gateway first for instructions and to confirm they’re registered to offer service. Friendly fraud liability, “it wasn’t me, I didn’t authorize it”, shifts to the issuer and some cards with qualify for even lower rates because there is lower risk to the issuer. Because there are many parts to any transaction, including acquirer and issuer communications, plus continually changing rules, it’s possible that it will not be invoked. Standard 2.95% + $.10 Not all criteria met for another rate. Merit I 2.05% + $.10 Key-entered or ecommerce and valid authorization + other criteria met. Full UCAF 1.87% = $.10 Ecommerce; Cardholder authentication and other criteria met. To qualify for UCAF, the customer must initiate payment and all the other rules must be met, which is not always easy, especially for B2B. Note, ‘ecommerce’ includes online paypage and other electronic payment channels the customer initiates. Call Christine Speedy, PCI Council QIR certified, for Online Credit Card Authorization Forms at 954-942-0483, 9-5 ET. CenPOS authorized reseller based out of South Florida and NY. CenPOS is an integrated commerce technology platform driving innovative, omnichannel solutions tailored to meet a merchant’s market needs. Providing a single point of integration, the CenPOS platform combines payment, commerce and value-added functionality enabling merchants to transform their commerce experience, eliminate the need to manage complex integrations, reduce the burden of accepting payments and create deeper customer relationships. Christine offers more than one solution so that you have the best for your business type and needs. Accountants offer professional advice regarding cash flow, accounts receivable, tax preparation and all sorts of other consulting. Credit card processing and all the compliance it encompasses introduced immense new compliance challenges in 2017, and it’s fair to say, most businesses have no idea what they are, or what the repercussions are. A big problem is people think it’s someone else’s responsibility to keep their business compliant. Every single merchant must make internal changes to comply. If you store credit cards, you must be compliant with Visa Stored Credential Framework. This is arguably as huge as the retail shift to EMV chip card acceptance. There are significant financial and risk consequences for non-compliance. Some solutions companies reduce the compliance burden more than others, while maximizing profits and cash flow. PCI Compliance mandate for TLS disablement will disrupt business, mostly starting right now, February 2018. Businesses need to ensure they’re servers, software (if applicable) and browsers are compliant, and also have an plan to help internal and external customers overcome issues trying to login to portals, make online payments etc. It’s a Visa rules violation to request the card security code on a paper credit card authorization form, or any digital form where the business can decrypt and view it. It can’t be stored, period. Not by the merchant nor service provider, including payment gateway. Why these 3 things? Because 100% of B2B companies I talk to will fail on at least one, and usually two or three. That includes CPA firms also. 86% of all data breaches in 2016 were from level 4 merchants, defined as “Any merchant processing fewer than 20,000 Visa e-commerce transactions per year, and all other merchants — regardless of acceptance channel — processing up to 1M Visa transactions per year.” By complying with the three items on my list, B2B companies will harden their systems and increase profits. The latter occurs because compliance with rules reduces fees. An intelligent payment gateway can automate compliance with many elements of the Visa Stored Credential Framework. Simply passing data as most payment gateways do is not enough. Engage internal or external IT team to test all systems for TLS compliance, and verify at SSLlabs.com. Empower customers to self pay via push (text or email), or pull (online hosted pay page) technology so that employees never have access to cardholder data again. Whatever the old justification for using paper forms with full card data, there is a technology solution that has negated the need.